MIAA A Conference finalists Calvert Hall and McDonogh were once again the last two teams standings in the Session I final of the prestigious National High School Lacrosse Showcase, a summer lacrosse spectacular featuring 42 high school power programs. This time, however, the Eagles flipped the script on the Cardinals, who routed the Eagles in the MIAA A Conference championship game in May, by claiming a 9-5 victory in the championship game. Both McDonogh and Calvert Hall went 4-0 in pull play to reach the single elimination round of eight teams. 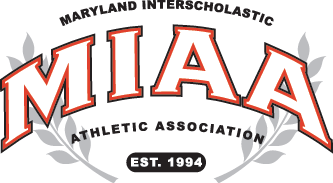 On the way to the final, Calvert Hall defeated Gonzaga, 9-3, and Landon, 6-4, while McDonogh downed New Canaan (CT), 12-6, and Victor School (MA), 8-6. Other area schools in the event which did not qualify for the finals included Boys’ Latin (4-2), Gilman (3-3), Loyola (4-2), St. Paul’s (5-1) and Hereford (3-3). In group play, Boys’ Latin, Gilman, Loyola and St. Paul’s all went 3-1, just missing the finals, as BL was topped by Victor, Gilman was denied by New Canaan, Loyola fell to Landon and St. Paul’s lost to Gonzaga. St. Paul’s then won two consolation games, Boys’ Latin, Loyola and Hereford each split a pair of consolation contests, while Gilman dropped both consolation battles. A second session of the NHSLS got underway on Sunday and runs through Tuesday. John Carroll, which is moving up to the MIAA A Conference next spring is competing in the session and St. Paul’s also has a team entered. Click here for complete game results, pool standings and the championship bracket.